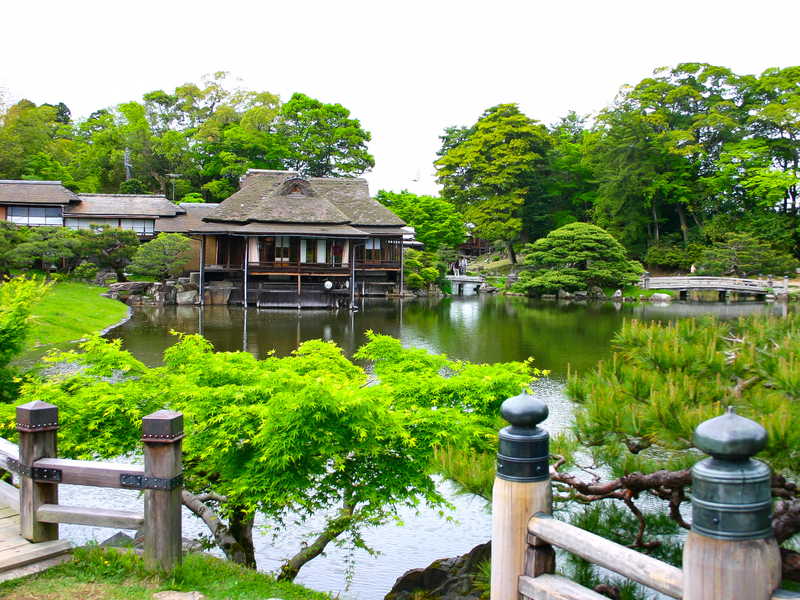 Genkyu-en and Rakuraku-en Gardens are located north of Hikone Castle in Shiga Prefecture. They are gardens that formerly belonged to samurai lords. Genkyu-en is well-known for its design which changes with the seasons, whereas the neighboring Rakuraku-en is a garden built for pleasure and relaxation.